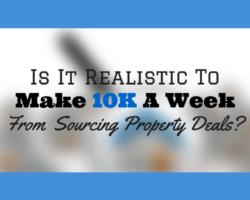 You are at: Home » Blog » Is It Realistic To Make £10k A Week From Sourcing Property Deals? 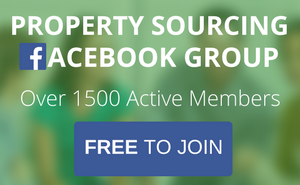 Is It Realistic To Make £10k A Week From Sourcing Property Deals? One of the questions we get asked a lot is how much you can earn from property deal sourcing and whether it’s realistic to earn specific amounts, like £10,000 per week for example. Naturally, this is an important question for people who are thinking of going into this field and it is a really interesting one to answer. Of course, there are huge opportunities to make money from property but to answer this question; the first piece of advice I would give is that you need to be realistic about your future goal. Making this amount of money is definitely a possibility but in order to get to that position, you need to have the right actions and processes in place. Realistically, the chances are very slim that you could leave your job and earn £10,000 in a week within a few weeks. That’s not to say that when you have put in a lot of graft and gradually built up effective processes, you won’t be able to earn this kind of money. We’ve been making money from property for many years, so we can reflect on our experience to tell you the essentials that you’ll need to master before you can think about consistently earning that kind of money. As we mentioned before, you have to be very realistic when it comes to how much you’re going to earn from property sourcing. Yes, it is possible to make £10,000 in a week but to do that consistently is a very big ask. When you’re setting your targets, make sure they are realistic or else you will probably get a bit of a shock when you aren’t suddenly earning £10,000 a week overnight. The really important part is learning the right systems and processes in order to start generating leads, which then turn into deals that will get you a fee. If you’re new to property sourcing, then you probably won’t have any experience of the systems and processes, which is why it is useful for you to tap into the experience of people who have been there and done that. 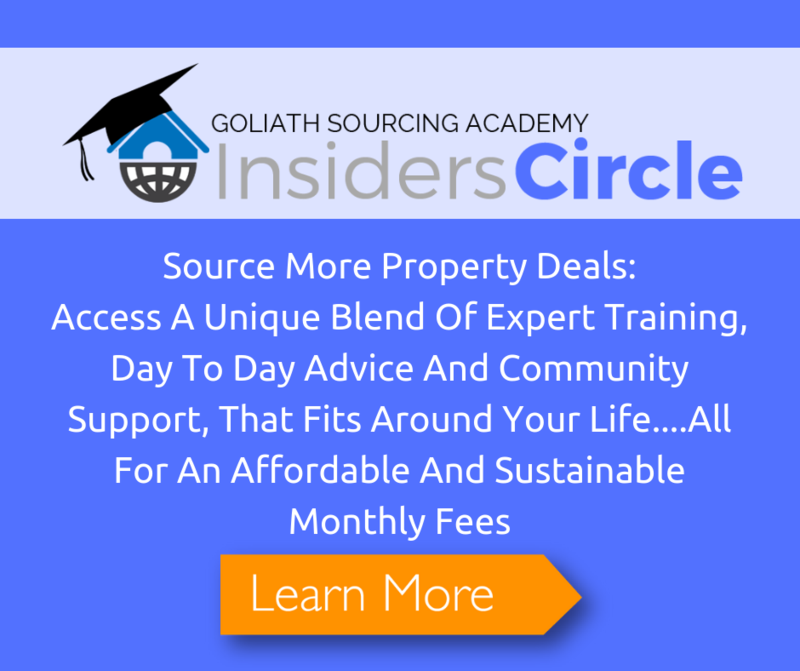 Goliath Sourcing Academy provides this kind of experience because we have years of experience. Over 12 years in property and loads of experience in marketing as well, so you can use our experience to help you to build the right processes and systems. This will save you a lot of time that you would otherwise have to waste in trial and error. By saving you this time, it will get you to your end goal and achieve the earning potential that you are looking for much quicker. A lot of your time can get taken up by administrative tasks that take you away from concentrating on property sourcing, so look at options to outsource some of this work. You have to invest a fair amount of time in this process, so get the right team set up so that the tasks like chasing solicitors, all these time-consuming actions are taken care of by your team. To build up the consistency that is required to earn something like £10,000 per week, you need to work very hard. There is no magic way of getting to that kind of figure, so you will have to graft for it. For each task that you do, you should be creating a system so that the task can then be delegated to the appropriate person on your team. If you’re sending out the right mails, targeting the right people and doing the right internet marketing then you’re on the right track but you’ll need to systemise all of these actions and continually improve them if you’re going to hit that end goal. To summarise, yes you can reach that golden target but to consistently achieve it you will need to master all of the points that we have listed here. Hard graft and using the experience of property experts are two of the key factors in your potential for success in the property world. 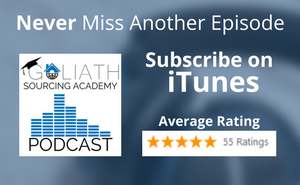 Click here to check all our podcast episodes where you can discover more useful tips to guide you into a successful property sourcing journey.